A bar of soap for tourists visiting British Columbia. 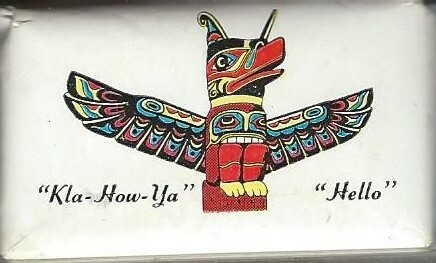 The front tells you “Kla-How-Ya” / “Hello”. 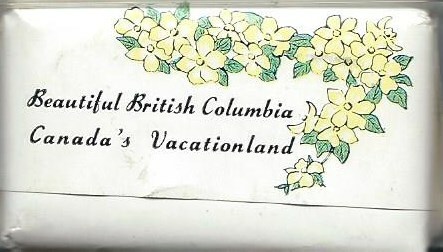 On the back, “Beautiful British Columbia / Canada’s Vacationland”.